There is no doubt that your business is as important as your home. When there are plumbing problems in it, then it means that some daily chores have to stop, and this could cost you some revenue. But you are right! We help you get back to business regardless of the situation you are in. If your business suffers a plumbing, drain, or sewer problem, then do not get stressed up and call the first plumber you come across. No! Count on us for highly professional services that you cannot find anywhere else in the market. When you call, our expert technicians arrive swiftly, diagnose the issue quickly, and get it fixed as soon as they can. Also, remember we are available 24 hours a day and seven days a week in case of an emergency – including weekends, public holidays, and the darkest hours of the night. As our slogan goes, your business is our business. We believe that when your business is at a standstill, then your life is adversely affected. We cannot allow plumbing problems to compromise what makes your life comfortable. Call us now, and our technicians will be on the ground to deal with a plumbing problem of any magnitude in your commercial premises. Well, it is a known fact that not every plumber can fix commercial plumbing systems. Unlike those found in homes, these systems are very complicated and require specialized knowledge when fixing it. One mistake done during repair or installation can cause a problem that can be very expensive for your business. Imagine water damaging crucial documents that can lead to business closure in case of a pipe burst or a gas leak that can turn your entire empire into ashes. Don’t wish this for your business by working with an inexperienced commercial plumber. We are fully licensed to operate in businesses. This means that the law recognizes us as professionals, and we only deal with legitimate business dealings. Call us today, and you will always get nothing but the very best. Free estimates. We offer you free, no-obligation commercial estimates that conform to your company’s budget. Trustworthy plumbers. We conduct regular drug tests and background checks on all our technicians. Licensed. We are the air conditioning and heating experts you can rely on for your business. 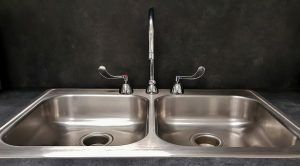 Regardless of the issues, you are facing with the plumbing system in your business, remember that you can always count on us for the very best. Get in touch with us now.